We are also able to carry out the KEBS QISJ pre-shipment inspection, vehicle collection if required throughout the UK as well as any pre-shipment formalities you may require. If at any time vehicle clearance in Mombasa is required, we have partner clearance companies in Mombasa who offer a great service. Vehicles can be collected from anywhere in the UK for shipment to Mombasa. Alternatively the vehicles can be delivered to our Tilbury port office. We are further able to carry out the pre-shipment inspection for you. Depending on the number of vehicles, we position either a 20 FT or a 40FT container for shipping to Mombasa. 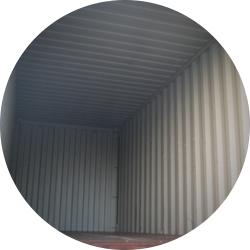 We ensure the container is clean and in good order prior to arranging the loading. We utilise plenty of lashing materials to ensure that the car is fully secure, furthermore we use metal chokes to further prevent movement during transit on high seas. We ensure the car is fully secure before it is shipped. Once the container arrives in Mombasa – we have a fully equipped team with all necessary equipment to prefessionaly unlash the vehicle as well as remove the vehicle if need be from the container. After Years of Experience, Auto Kenya has become a leading provider of Container Car Shipping to Mombasa from the UK. Our containers shipping service to Kenya is designed to ensure maximum safety and security of cars being shipped. We ensure your shipment is handled with the utmost care, and have safety measures in place to ensure your shipment to Kenya is in perfect condition upon arrival. Auto Kenya provides weekly container shipping to Kenya from the UK from Tilbury or Felixstowe Port. We offer reliable, timely, friendly and honest service, and provide affordable container shipping rates to Mombasa, Kenya. We also offers shared containers for cars that you wish to ship. With shared container shipping from the UK to Kenya, you only pay for the space your vehicle takes up within the container. Get in touch with us and let us know the vehicle you are looking to ship and any items you may be looking to ship to Kenya. You can then fill out our booking form allowing us to process your shipment. You can deliver the car to us at our Tilbury Port Office and we take care of all the rest including pre-shipment inspections. You could also use our extremely convenient UK Car Collection Service. For those who may require the container being brought to you, we can also arrange this for you. Normally you have three hours to load the container. Once the ship sails, we shall then furnish you with the Bill of Lading as well as inspection certificates. We always aim to offer the cheapest container shipping rates to Kenya from the UK. We aim to provide weekly sailings with extremely quick documentation for a hassle free container shipping experience. Please provide the make and model of the car you want to ship to Kenya, the type of container you require, and we will provide you with the best Container Shipping Rates to Kenya. The above are price guides and do include all shipping costs from the UK to Mombasa Kenya. We are happy to help if you have any questions or concerns. Give us a call and we’ll be happy to provide you with a quote. Auto Kenya aims to provide a totally hassle free shipping experience for you at the best possible price. With our container shipping service not only are you guaranteed safety but you can be rest assured that you will be paying a very competitive shipping rate as well. We will aim to support and assist you not only after we have shipped your car but throughout the process.